Please join me in welcoming an outstanding new congressman, Lee Zeldin, to Colorado. I’m writing to invite you to an event for Rep. Zeldin on Monday evening. Lee was elected to Congress last November, and has already made a name for himself as a strong supporter of the US-Israel relationship. In fact, he has already been elected co-chair of the House Republican Israel Caucus. During a time when the administration is proposing an irresponsible and dangerous Iran deal that threatens American national interests along with those of our closest Middle East ally, Israel, we need leadership like Lee’s in the House more than ever. An 82nd Airborne veteran of Operation Iraqi Freedom himself, he has also established himself as a leading voice on veterans’ issues. We’ve learned over the past year about how the VA is failing to provide veterans with the care they’ve earned, and we’ve been shocked by the disaster that the VA hospital project in Aurora has become. Those who’ve sacrificed in uniform for our freedom deserve strong voices in the Congress. Last, Rep. Zeldin is also the only Jewish Republican member of the U.S. Congress. If our party is to be a big tent, conservative members of groups that normally lean Democratic need extra support. Lee represents the highly competitive New York first congressional district based in Eastern Long Island. Since the district is so competitive, Lee is already being strongly targeted by the Democrats in 2016. Colorado’s own Reps. Mike Coffman and Doug Lamborn are joining me in support of Rep. Zeldin. All three serve together on the House Veterans’ Affairs Committee, and Rep. Lamborn co-chairs the House Republican Israel Caucus along with Lee. Please join Rep. Zeldin and me in Denver this coming Monday, August 3. Details are below; please RSVP to lindsey@sentinelstrategic.com. ?Interested in serving on Thornton City Council? ?August 4 ?Pick up Nomination Petitions from the Thornton City Clerk’s office. Petitions will also be available online. ?August 4-24 ?Council Candidates circulate Nomination Petitions and obtain 25 signatures of registered voters within your Ward. Mayoral candidates will need to obtain 25 signatures from registered voters across the City. ?August 24 ?Nomination Petitions are due back in the City Clerk’s office by 5:00 p.m. on Monday, August 24. ? just off of Thornton Parkway and I-25. Call 303-538-7230 for more information. COLUMBUS, Ohio—Democrat Chris Redfern was confident of his re-election chances, and with good reason. Voters in his state House district had elected Democrats for decades, and he was Ohio’s Democratic Party chairman. 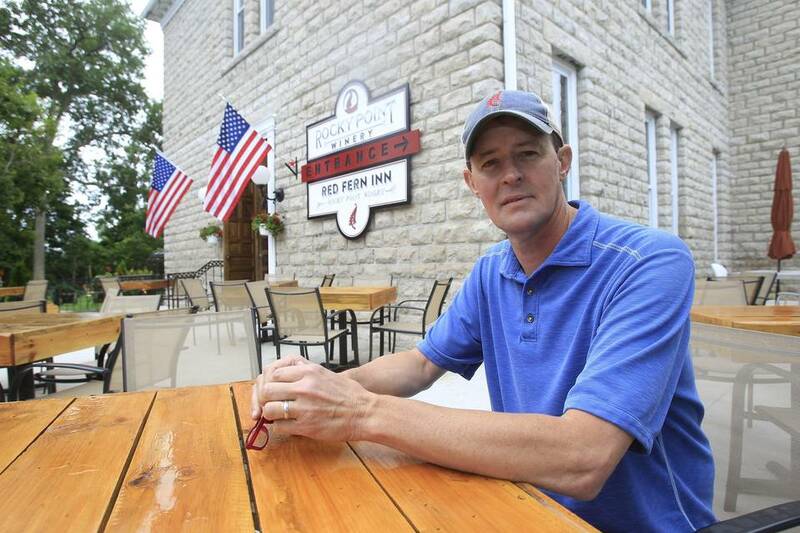 Yet on election day, Mr. Redfern lost to a tea-party Republican, a defeat that drove him from politics into a new line of work, running an inn and winery. Mr. Redfern’s political exit came amid a string of midterm-election losses by Democrats in Ohio and nationwide that reflected a deeper problem: As the party seeks its next generation of candidates, the bench has thinned. A tepid economy and President Barack Obama’s sinking approval ratings contributed to some of the Democratic losses last fall. The setbacks also revealed a withering of the campaign machinery built by Mr. Obama’s team more than seven years ago. While Democrats held the White House, Republicans have strengthened their hand in statehouses across the U.S.
Democrats maintain a significant electoral college advantage asshifting U.S. demographics tilt their way. This spring, a Pew Research Center analysis found that 48% of Americans either identify as Democrats or lean Democratic, compared with 39% who identify with Republicans or lean Republican. But many Democrats worry that GOP success capturing state and local offices will erode that advantage before they have a chance to rebuild. In just over two minutes, this young woman sums up perfectly what we’ve all been thinking and saying for some time now about all that’s wrong with our national discussion and focus. All that, sadly, was brought into high relief with last week’s killing, on American soil, of four Marines and one U.S Navy sailor at the hands of an Islamic terrorist. In closing out yesterday’s “On Point with Tomi Lahren” show, host Tomi Lauren absolutely and eloquently SCHOOLS President Obama and the left for misguided priorities and distractions — from climate change and wage inequality to gay marriage, “white racism” and more. Ms. Lahren, who herself comes from a family of Marines, calls out radical Islam — now a reality at home — as the real problem in no uncertain terms. It’s two minutes well worth watching — and sharing.